LOCATION: This home is located gulf front. DETAILS: Experience living life to its fullest at Waterhouse, located directly on Scenic Highway 30A between WaterSound Beach and Alys Beach. This luxurious residence is on the second floor of Waterhouse, an upscale sanctuary which offers guests a truly intimate resort experience. Head to the gulf view rooftop deck where you'll enjoy the gorgeous pool and hot tub, lounge seating, barbecue grills, and expansive views. Drop by the well-appointed fitness center and discover LifeCycle treadmills, exercise bikes & weight equipment as well as a sauna and a steam room. The outdoor showers, onsite parking and 3 adult bikes ensure you'll have all the conveniences you need for a restful & fun gulf side stay. This property is in Seacrest and is an easy bike ride to the Hub entertainment complex (1.25 miles west) and Alys Beach (Rosemary Beach is 2.5 miles east). 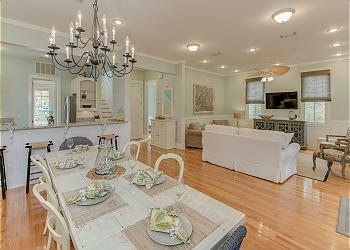 204 Waterhouse has been thoughtfully finished with coastal décor and gorgeous hardwood floors throughout. The comfortable living and dining space overlooks the additional outdoor seating area with garden views. Three generously-sized bedrooms, are paired with 3 beautifully appointed bathrooms finished with natural stone, tile, and granite. The gourmet kitchen features Viking and Asko appliances, granite countertops and a breakfast bar to seat 6. Over-sized sliding doors in the living and dining room areas open onto a private covered balcony that can also be accessed from the master bedroom. This home also includes complimentary beach chairs and umbrellas. AMENITIES INCLUDE: 3 adult bikes provided, gulf views, rooftop pool. The Parking Lot in the back is open parking. Complete Clean Linen Participant - ALL linens, including comforters laundered upon every checkout. We had the best long weekend! The condo is absolutely beautiful, spacious & cozy. It's located in a great centralized area & the beach can be seen from the porch & is a very quick walk. We loved using the hot tub on the rooftop. We will definitely be coming back! We are so glad that you enjoyed your vacation with us in Seacrest Beach! We agree that this condo is a wonderful option for a fun and easy beach getaway! We love the photo you shared, it definitely shows how much fun you all had! Thank you for staying with 360 Blue, we look forward to seeing you again soon! Everything about our stay was wonderful! This is our second time staying at Waterhouse and had a wonderful stay. It’s beautiful, clean, spacious and comes with every amenity that you would need (gym, elevator, luggage cart to help unload, pool, bikes, easy access to beach, free beach chair service, and short drive to great eats). We would stay here again in a heartbeat! I cannot say enough good about 360 Blue... this is the second time they have saved us from a horrible rental from VBRO and Dune Allen Realty that didn’t accurately portray the property pictures online. I’ve learned my lesson and will never rent from another company on 30A. Every property that 360 Blue offers is exactly how it’s portrayed and more. Their standards are 5-star and it shows in all their properties. It’s peace of mind knowing that the property you are booking is going to be what is advertised. Thank you again 360 Blue for another wonderful vacation!!! We are so delighted that you had such a wonderful time with us in Seacrest Beach! 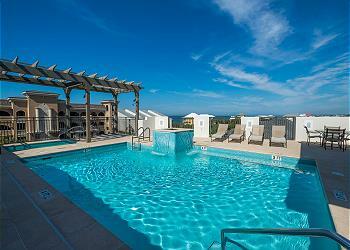 We agree that these condos are perfect for a fun-filled and stress-free getaway! We are so glad that your experience with 360 Blue was a positive one, we are always happy to come to your rescue and we thank you for all of your kind words. We are looking forward to hosting you all again very soon! This was our second year of staying in Waterhouse 204- and it didn’t disappoint! The space is clean and spacious, perfect for our family of 7 and a toddler. The gym and pool areas are better than any other venues we have stayed at on 30a, and the app and concierge service made our stay top-notch. The beach is just a quick walk across the street- close proximity is huge for us, especially with a 1 year old, and this location is perfect! I would recommend this location to everyone (except during the dates I stay)! We’ll definitely be back! We are so glad you had yet another wonderful vacation with us in Seacrest Beach! We agree that this condo is perfect for a fun-filled beach getaway and our concierge department is second to none! We look forward to hosting you and your family again, hopefully very soon! We had the best stay at Waterhouse! We were so happy with our choice! !The condo was beautiful and conveniently located with a great open layout. We easily fit 6 adults and 3 children. The bunk bed with a trundle in the third room was so nice for a larger family with kids and having a pack n’play available was much appreciated. The pool was so easy to get to with a beautiful rooftop view of the ocean and grills for convenience. Just a quick ride up the elevator. Having bikes included with the condo was a very nice touch and made it much easier than renting. The boardwalk to the beach was a quick walk, but we did wish that there were a little extra space on the boardwalk itself and possibly ramps. Lugging kids, a wagon, chairs and floats is a challenge when others are on their way up, but we made it work. Having a set of beach chairs with a table included with our rental saved us quite a bit of money from previous stays. 30A & 360 Blue is a 6 year tradition for our family. We plan to come back to Waterhouse! What an incredible view! We are so excited to hear that you enjoyed your stay at this incredible home. It is such a perfect place for a relaxing beach getaway. We hope to see you back again soon! Waterhouse 204 was a great place for my first rental on 30-A. Came as a solo for 11 days, had one friend arrive for 3 day weekend stay. This was a great unit for a family of 6. Everything clean & 360app made access to unit, beach, and communication with concierges / ambassadors easy, etc. Ambassadors to 360 made great restaurant suggestions & responded quickly to my calls / emails. Enjoyed bikes. We are so thrilled to hear that our team was so helpful in making sure you had an enjoyable stay in this beautiful home. It really is a perfect place for a relaxing beach getaway on your own or with the whole family. We hope to see you back soon! First time booking with 360 Blue, it won't be our last. Great communication, no issues had a great time! Very relaxing vacation, beach, pool, beach, pool. That's pretty much what we did and it was fabulous!!! What a great day to unwind and relax at the beach! We are so happy you had such a great vacation! Thank you so much for staying with 360 Blue and we can't wait to have you back again soon! I loved this condo. It was really nice and clean. There was a short walk to the beach. The weather was fabulous. We had a family of 6 and there was plenty of space. I would recommend this condo for a nice family atmosphere. Hot tub was nice and warm and pool was plenty cool! Love this area. Will come back. What a gorgeous day to spend at the beach! We love seeing all those smiling faces! Thank you so much for staying with 360 Blue and we can't wait to have you back again soon! Loved Waterhouse 204! Very nicely decorated and roomy for my family. Just steps away from the beach which made it easy to come back and forth to condo. Rooftop pool is awesome. Kids spent most their time at pool! Only complaint is that the pillows were not that comfortable. After reading other reviews I found out that 360 Blue will accommodate you with other pillows. Overall 5 star condo! We are so happy to hear that you had such a wonderful stay in this amazing home! It truly has everything you need for the perfect beach getaway. We appreciate you choosing 360 Blue and hope to see you back at the beach soon! Wonderful unit. Great rental agency to use! Will be back! You can practically hear the waves crashing just looking at this photo! We are so pleased to hear you enjoyed your stay with us! Thank you for choosing 360 Blue and taking the time to provide valuable feedback. Come back and see us soon! Where to start? The condo was beautiful and we loved the rooftop pool/hot tub, the gym, access to bikes and our most favorite amenity.....the inclusion of beach chairs and umbrella. Thanks to the Concierge service for providing a list of personal chefs. Chef Kali was very personable and the meal was amazing. Due to the superb customer service at 360 Blue, my search for our next vacation rental will start with them. Really love the app as it has all that you need right at your finger tips. Thanks again 360 Blue for a great time on 30A. This photo is stunning and definitely needs to be on a postcard! We are so happy you enjoyed your stay so much! Chef Kali is such an amazing chef and always creates wonderful dinners! Thank you so much for choosing to stay with 360 Blue and we can't wait to start planning your next vacation on 30A! Great condo! We had a wonderful time! Rooftop pool is awesome! Easy walk to the beach and an easy bike ride to the Hub or Rosemary. Such a great beach photo! That rooftop pool is unbeatable! We are so happy you had such a great vacation and thank you for staying with 360 Blue. We hope to have you back to visit us again soon! What a beautiful family! We are so happy you had such a wonderful stay. The beaches are truly amazing this time of year. It sounds like you really got out and enjoyed everything this amazing community has to offer. We hope to see you back at the beach soon! We liked the condo, very confortable and roomy. Just a couple of suggestions, the TV on the living room is hard to use, you should consider providing some instructions and a TV guide. The one at the master room I couldn't figure it out. Also, the internet has low speed/capacity , you might want to upgrade that. Thank you so much for your valuable feedback. We will have one of our technicians check out the TVs and internet to be sure everything is in great working order. We hope you made some amazing memories and look forward to having you back soon! We enjoyed our stay and will consider a return trip in 2018. The cell service was VERY poor and impacted our ability to run our business remotely. We are thrilled that you had such a great time! If you have the same cell issue next time you are down, please let us know. We have found a bit of a work around and would be happy to help you out. We hope to see you back soon! 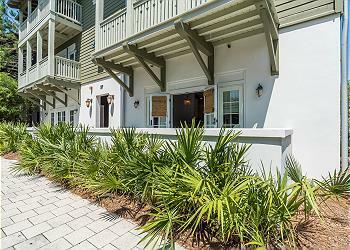 We enjoyed the condo, great central location along 30A. The rooftop pool was cool with great views. it was abeautiful condo great amenities. only a few issues but concierge is pretty helpful. was disappointed about the cancellation of the Monday night bonfire. but otherwise great. we love renting through 360 blue because of the linen clean services and so far has been great but I think the cleaning team could work on a few minor things. front load washers always get mold and have to be cleaned and I think light switches should always be wiped down. just my personal pet peeves. otherwise great time great experience wish could have stayed longer. What a beautiful photo! We are so happy to hear that you had such a wonderful time. We will speak with the cleaning crew to make sure they are keeping the home up to 360 Blue standards. We appreciate your feedback and we look forward to having you back soon! The place had plenty of room for our 4 adults and 2 kids. It was an easy walk to the beach. The pool was a total hit with our kids and had a great view of the ocean. We all enjoyed the balcony with lots of seating. The workout room had plenty of equipment except I never figured out how to work the TV volume in the workout room. I would recommend this place to any friend. My sister and I took my daughter and her friends for their senior trip. We loved the condo and pool, It was very nice. They provided us with some items that we needed while we were there. Great experience and fabulous place ! What a fabulous Senior trip and wonderful memories! The 11,000 square foot Seacrest Beach pool is a stunning addition to 30-A and a guest favorite! We strive to provide excellent customer satisfaction, and should you ever need a basic item that is not in the home, please be sure to call. We hope to see you again very soon! Stunning property with great amenities! Top of the line!! What a spectacular picture!! Thank you for choosing 360 Blue and we are so excited you had such a wonderful time! Be sure to come back and visit us again soon!